Our carefully curated stable of specialty brands provides innovative, best-in-class products and services designed to address the needs of your students. We help you unlock the promise of a great education with over 100,000 engaging and inspiring products for the classroom, gymnasium, art room, STEM lab, tech center, and every space in between. At Childcraft, we’re committed to giving every child the chance to reach their full potential by inspiring them to live a life fueled by curiosity and discovery. That commitment has motivated us to source and develop proprietary, high quality, educationally sound products designed to inspire and teach children from birth to grade 2. We carefully curate our collection of products to ensure that we offer only the best furnishings, learning materials, and supplies that meet strict standards for safety, durability, and educational value. The end result is a high-quality, positive, safe environment where your littlest learners will thrive. We believe in the power of art. Art encourages us to learn, to explore, and to express ourselves in creative, unique, and personal ways. We don’t see art as an elective. We see it as a pillar of education critical to helping students grow to be well-informed and well-rounded. That’s why we’ve dedicated ourselves to supporting your efforts to empower young minds to think creatively. 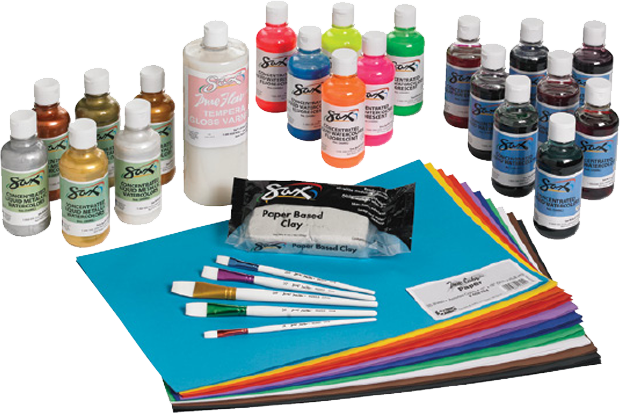 We’re here to help you encourage creative thinking by providing you with a comprehensive line of affordable, high quality arts and craft supplies featuring Sax products. The joy of accomplishment motivates our desire to help students with special needs overcome challenges, because we believe everyone deserves to experience the thrill and satisfaction of personal achievements – both large and small. We see ourselves as a resource for therapists, parents, and educators like you. 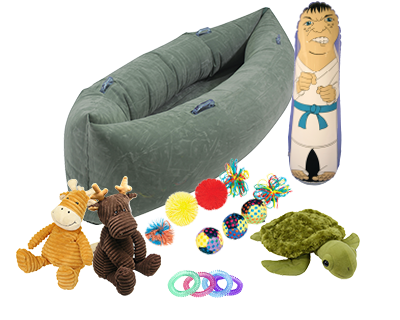 Abilitations provide products and support tailored to helping you teach your students with special needs. We are uniquely focused on special needs, and we’re here to help you inspire and empower your students. We have a love of physical activity. It improves a person’s physical, mental and cognitive health, and it helps us develop a foundation for discipline and the positive behaviors that enable us to live long, healthy lives. Our passion for physical activity drives us to provide innovative Sportime products that inspire healthy lifestyles, unlocking the love of physical activity in every youth. 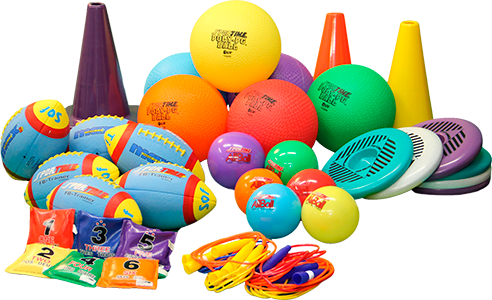 Our offerings combine products and evidence-based curriculum that work together to enable you to instill an appreciation of physical activity in all your students. With a full line of classroom products and discount supplies, School Smart offers educators outstanding value: quality products at an affordable price. 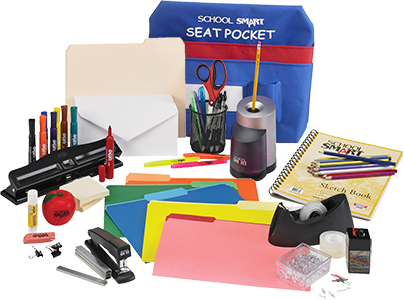 Focused on the everyday needs of classrooms and school offices everywhere, we meticulously design and screen all our products – from basic office and classroom supplies to more specific, curriculum driven products – to stand up to the rigors of your learning environment. School Smart prides itself on offering products that are comparable to or better than the quality you expect from national brand alternatives. 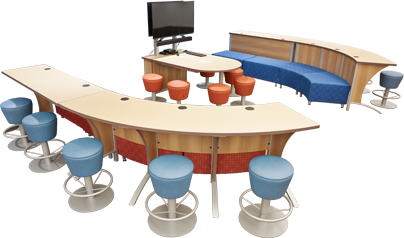 We’ve worked closely with administrators, general contractors, designers and architects for over 50 years to understand the furniture needs of educational environments. Our expertise has made our exclusive Classroom Select and Royal Seating products your best choice for outfitting a state-of-the-art, 21st century learning environment. 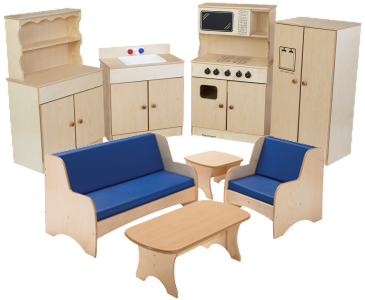 Whether you’re looking to furnish classrooms, labs, cafeterias, offices or other areas of your school, you can count on us to provide the affordable products you need to engage, inspire and facilitate all styles of learning. Projects by Design desires to help you engage your students like never before by providing complete learning environments that give you the tools and flexibility you need to improve learning outcomes. We offer the industry's only complete turnkey solution for outfitting an entire learning community - whether a new construction project, renovation project, or modernization program. We make it easy for you by providing expert guidance and access to everything you need to create the learning environment of your dreams. We do all of this at no extra cost to you. 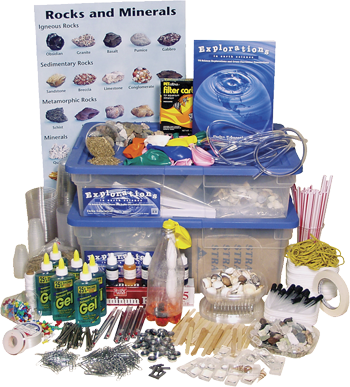 Science classroom resources offered by Delta Education engage students in science and engineering practices, promote science inquiry, literacy and achievement, all while aligning to the Next Generation Science Standards and supporting the Common Core State Standards. We offer research-based FOSS® curriculum and other programs such as Delta Science Modules and Delta Science Content Readers, as well as hands-on classroom resources. 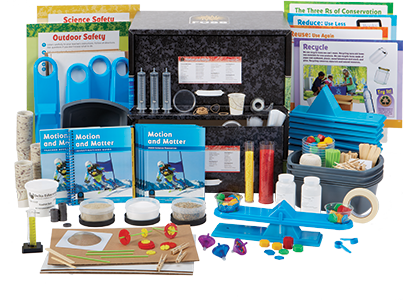 Supporting pre-K to 8th-grade educators, our science curriculum products embody the best in inquiry-based STEM education, helping you excite and engage your students. CPO Science features complete, coordinated active learning core curriculum programs rich in STEM connections and aligned to the Next Generation Science Standards (NGSS). The program includes precision wood equipment modules, student text, investigations manual, teacher’s guide, resource material, and technology tools to bring hard-to-grasp science concepts to life. Achievement results show that the active learning approach of CPO Science makes for more engaged students and better end-of-year test results. FOSS engages students in the study of the concepts and practices of science. The program takes advantage of the natural connections between science and language arts. Students experience the natural world and use language to inquire, process information, and communicate their thinking. The developers at the Lawrence Hall of Science have spent more than 25 years refining the FOSS program. The activities work. The strategies work. Successful science teaching is no longer only for the experts. 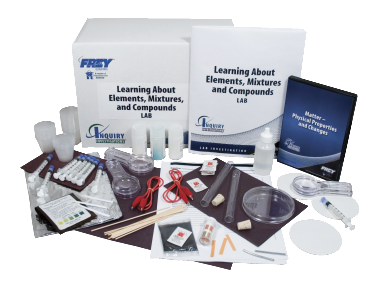 At Frey Scientific, we have a dedicated team of science education specialists, many with advanced degrees and teaching experience, who partner with a network of classroom teachers in order to understand and adapt to your needs both in the classroom and beyond. That partnership has led to our wide selection of science education products, supplemental curriculum, lab equipment and supplies, and STEM solutions that advance effective learning. We’ve been helping educators work with struggling students to close the achievement gap for over 50 years. Our products, materials, and training are designed to accelerate achievement. We combine comprehensive print and technology programs with carefully designed professional development to help you provide high-quality, highly effective instruction. We also offer over 10,000 instructional resources including teacher resources, student materials, manipulatives, games, and classroom libraries to support and enhance the diverse educational needs of your students. With a full array of educational technology products, School Specialty offers practical solutions that are proven and readily utilized in classrooms like yours. From digital projectors to interactive displays, 3D printers, headphones and tech storage, School Specialty Educational Technology provides the latest classroom technologies from top brands and proven suppliers. At Premier, we developed a planning framework and scheduling tools that support student organization and self-regulation skills. Since then, students in thousands of classrooms across North America have turned to Premier planners to help them arrange their tasks, set academic goals, balance their priorities, and plan for their futures. We believe our exclusive onTRAC® planning process guides students at all levels to identify, manage and accomplish the things that matter. SSI Guardian provides schools with 21st Century Safe School® solutions that promote maximum learning. In the absence of federal standards, SSI Guardian has taken a leadership role in bringing performance-based solutions to our nation’s schools and universities. SSI Guardian’s advanced safety education training is the only program of its type with an accredited professorial development CEU award. This continuing education unit is issued by North Carolina State University. We are the only single source safety solutions provider to America’s schools. We understand how much commitment and dedicated effort you, as a healthcare professional, put into helping people. That’s why our passionate team works so hard to develop solutions that help you make the biggest impact on the people in your care. We offer thousands of products and resources that aid in building cognitive, physical, and emotional well-being in all populations, including early childhood, adults, and seniors. Classroom Direct Teacher Favorites provides you best-selling classroom products at budget-friendly prices. We focus on the everyday needs of classrooms across country, and price comparison shop the most vital products and supplies for you! 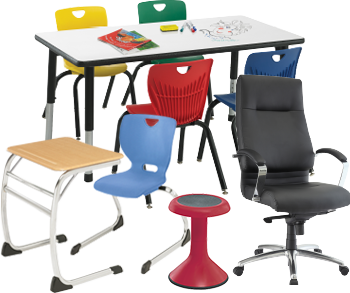 Then, we carefully select and offer proven products that deliver classroom solutions ranging from simple to complex, all at an everyday low price. We’re here to offer everything you need to keep your classroom running smoothly.